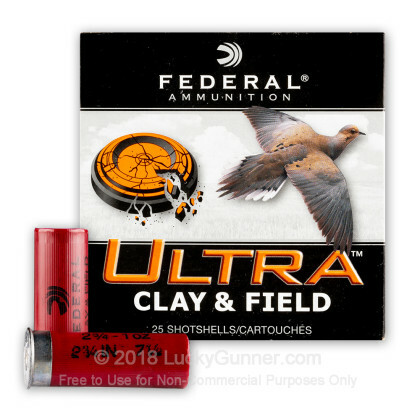 This 12 Gauge shell by Federal is loaded with one ounce of #7.5 lead shot. 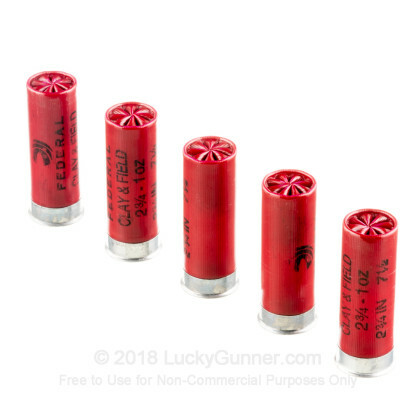 The ubiquity of that shot size is owed to how well it shines both at the range and in the field. 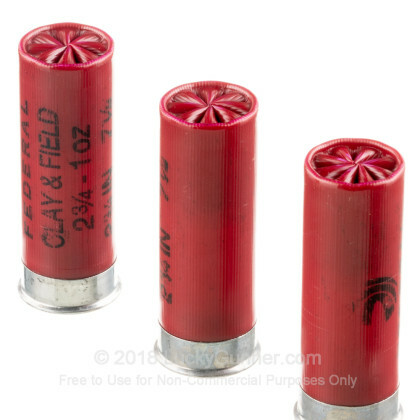 Even from a fair distance you’re apt to smash a speeding clay, because this shot’s spacing and the range it offers is ideal for the practice. 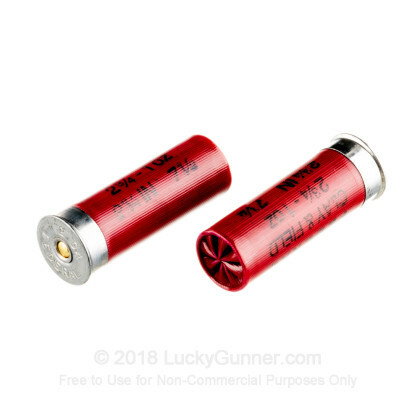 Furthermore, its .095” diameter coupled with this shell’s 1,180 fps muzzle velocity is just the ticket for taking down small birds without rendering their trophies worthless. 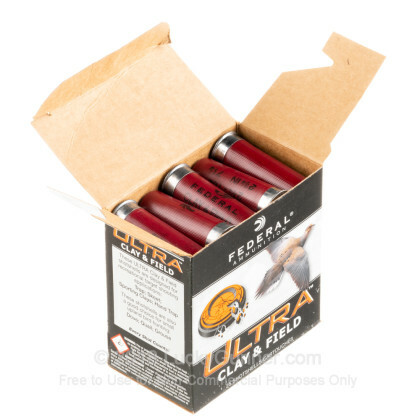 Federal’s Clay & Field line of ammunition is one more instance of the Minnesotan company’s commitment to providing an ideal ammunition solution to satisfy every conceivable need that a sportsman or shooting enthusiast could have. 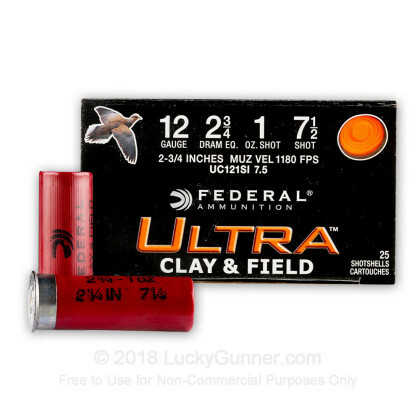 You’ll be proud to chamber this versatile shell with its sturdy plastic hull, clean burning powder, reliable primer, and wad that is specially designed to provide consistent patterning.